Attachment letter that was sent to Child X’s GP is below email. 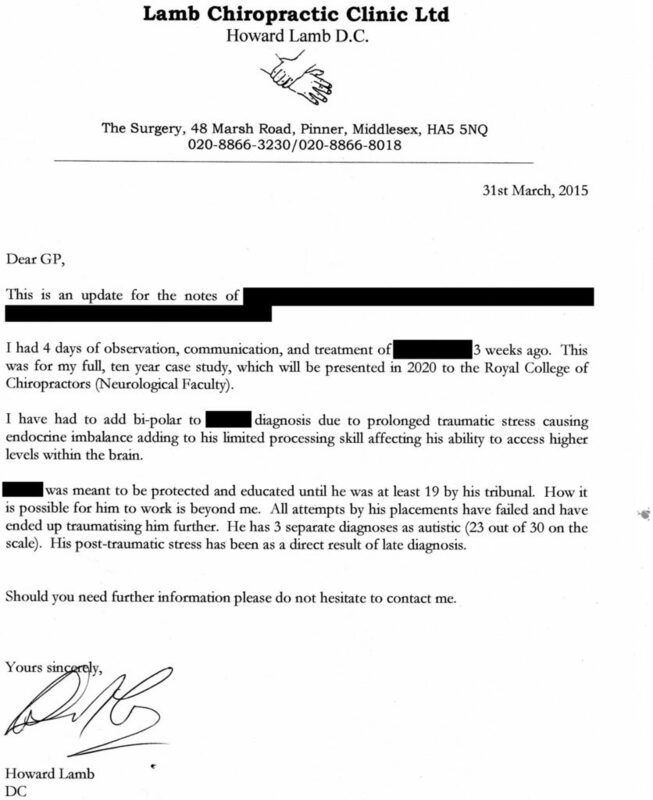 Re GP’s update on chiropractic patient (see attachment.) Child X has been signed off from work by his GP due to mental health issues, with a 2-monthly reassessment. Child X’s GP’s have been involved with him since birth and know him well. They were involved when Child X’s prescription was simplified 4 years ago. They have his diagnosis of autism, post-traumatic stress and bi-polar on record, mostly before his tribunal, and his diagnosis was not contested as evidence. Yet here we are at this moment in time. Child X is in wardened, sheltered accommodation. He is expected to cope when he has failed on all the skill sets he would need. (well documented.) No Education, no counselling, no skills training, etc. Definitely not holistic as recommended by tribunal, and at 18 not 19 as stated in the judgement. 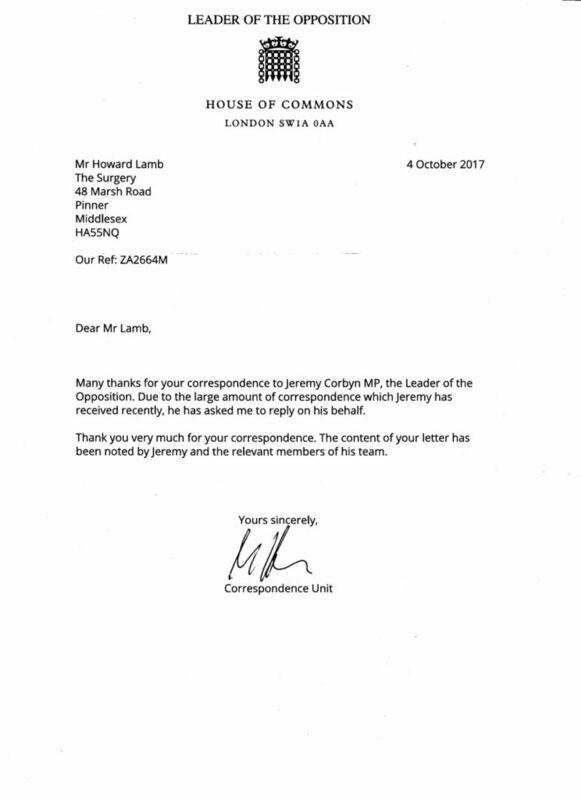 (GCC have seen the documents – please share these with the rest of the profession.) The council deny that Child X has a correct diagnosis but a list of letters which they do not understand. (A.S., P.T.S., O.C.D., A.D.H.D., C.P.D., etc.) Child X is then dumped out of the system prematurely, expected to hire lawyers without legal aid, and defend himself. It is a total disgrace. (Well documented.) If an effective system were in place, this could not happen. This is not an isolated case. What is to be done if the systems that have failed cannot correct themselves? The government has to rely on their experts who, in turn, rely on a £7.50 care person with no qualifications, and £20 per hour for the higher grades. 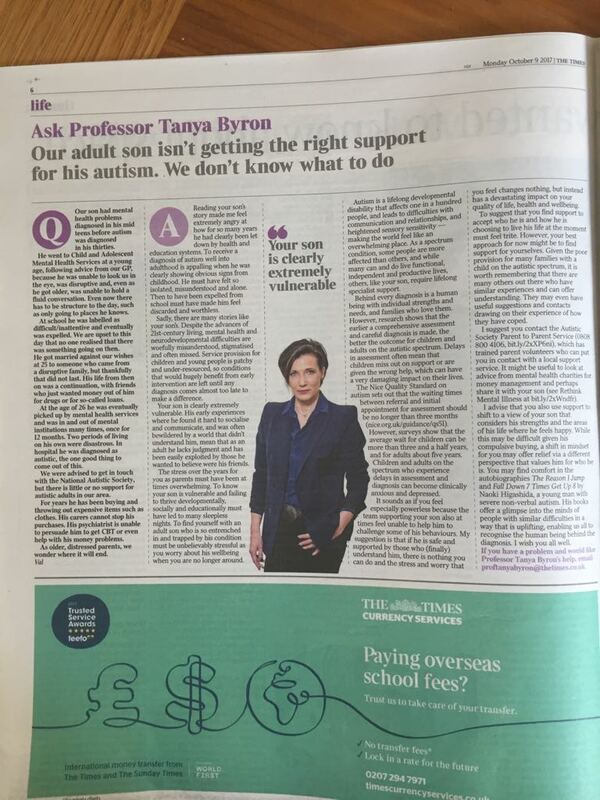 (Educational psychologists, skill sets, education rather than diagnosis and Child X has not received any education.) The system is Dickensian. 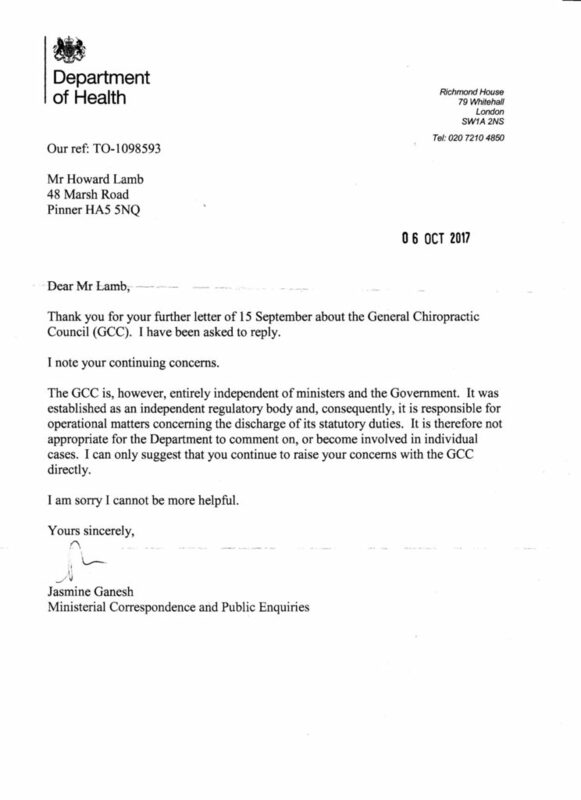 Please view this e-mail as an official complaint on behalf of my patients Child X’s mother and Child X, that through ignoring his diagnosis (chiropractic and others) he has suffered physical abuse, mental abuse, and breach of disabilities legislation and the Human Rights Acts by Hertfordshire County Council and their departments as described in my letters and correspondence to GCC and the British chiropractic associations, which you have my permission to use as you see fit. If this does not tick the right box, please let me know with understanding of my disability, preferably through my associations.